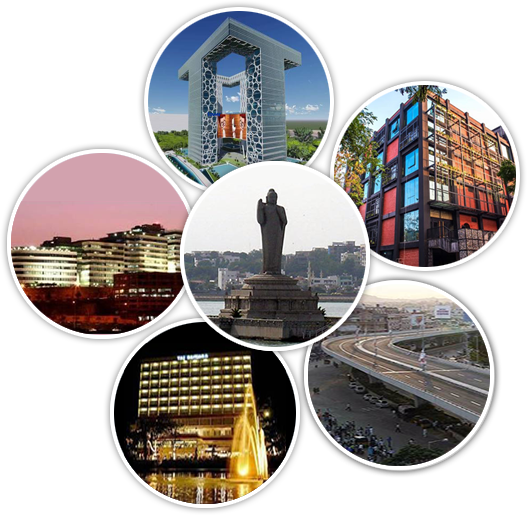 Hyderabad, the City of Pearls, the City of Historic Charminar, has strategic and geographic advantages for any size IT business. The city is the second largest city in India with respect to the total land area, and has over 200 Engineering colleges within its vicinity. Today, Hyderabad is the second largest contributing city for IT Exports. It has become a ‘happening city’ with several IT companies constantly setting up their bases. Salubrious Weather: At 536 M altitude on Deccan plateau, Hyderabad fairly warm through most of the parts of the year. No extreme high temperatures in Summer; No freezing temperatures in Winter; No relentless downpours in Rainy seasons. Hyderabad on World’s Tourist Map, 2nd Best Place to see in 2015. Hyderabad is listed as one of the 41 “Must Visit” cities in the world. Hyderabad is the only city from India, FEATURED IN THIS RANKING SHOWN AT 19TH PLACE.